Air New Zealand Chairman Tony Carter will retire at the airline's Annual Shareholders' Meeting in September next year and be replaced by current Director Dame Therese Walsh. Mr Carter has held the role of Chairman at the airline since 2013 after joining the Board in 2010. For the first time, American Airlines — together with its Pacific Joint Business partner Japan Airlines (JAL), is announcing a special nonstop flight between Narita International Airport in Tokyo (NRT) and McCarran International Airport in Las Vegas (LAS) to support additional demand for CES 2019. American will operate the flight Jan. 4–14, 2019. Delta has reported total system traffic increased 4% in July 2018, while capacity was up 3.5% compared to the same period in 2017. Total system load factor for July improved 0.5 points to 88.6% compared to the previous year. Helping business jet operators and aircraft owners save a significant amount of money on their mainstay purchases through group purchasing has convinced business aviation professional Matt Smith to commit to a new role – as Vice President of Business Development. Used to a high-pressure environment, having working globally in a senior sales role with Air Charter Service Plc, Matt takes responsibility for AVIAÂ’s growing membership, based out of Irvine, California, USA. During the second quarter, Bombardier Business Aircraft revenues totalled US$1.3 billion on 34 deliveries, with aftermarket revenue growing 21%, offset by lower aircraft revenues from fewer pre-owned aircraft available. On a year-to-date basis, revenues total US$2.4 billion, on track to the US$5 billion guidance for the full year. Year to date, deliveries reached 65 aircraft, in line with plan and last year, tracking to full year guidance of 135 aircraft deliveries. Margins continued to trend above the greater than 8% guidance, with EBIT margin before special items reaching 8.5% and 8.7% for the three- and six-month periods ended June 30, 2018, respectively. Aircraft backlog at the end of the second quarter increased to $14.1 billion, reflecting strong market activity for the third consecutive quarter. Demand continues to be fuelled by North America while Asia Pacific, Greater China and Europe are exhibiting good momentum. During the quarter Bombardier Commercial Aircraft delivered 18 aircraft, consisting of 8 C Series, 5 CRJ Series and 5 Q400 aircraft. 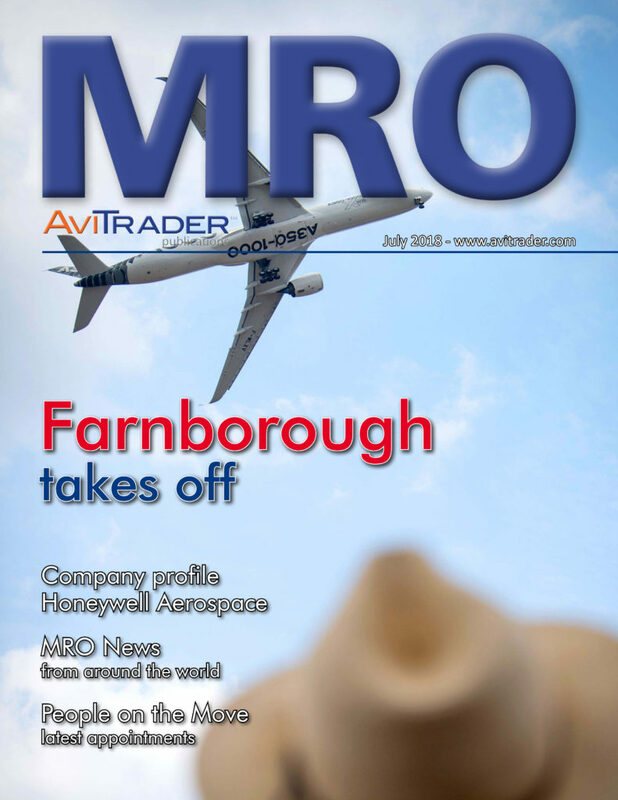 With year to date deliveries of turboprops and regional jets totalling 18, Commercial Aircraft is on track to meet annual guidance of 35 deliveries for the regional aircraft platforms. With year-to-date revenues of US$1.1 billion and EBIT loss before special items of US$139 million, Bombardier is reintroducing Commercial Aircraft’s full year revenue guidance of approximately US$1.7 billion and EBIT loss before special items guidance of approximately US$250 million. This reflects the deconsolidation of CSALP from Commercial Aircraft’s results starting in the third quarter, replaced by the equity pick-up. The second quarter saw significant order activity with a book-to-bill ratio of 4.2. The CRJ Series backlog grew to 60 aircraft, with two CRJ900 aircraft orders totalling 35 aircraft from American Airlines and Delta. These orders are the first with the new ATMOSPHÈRE cabin, setting the new standard of passenger experience in the regional jet market segment. 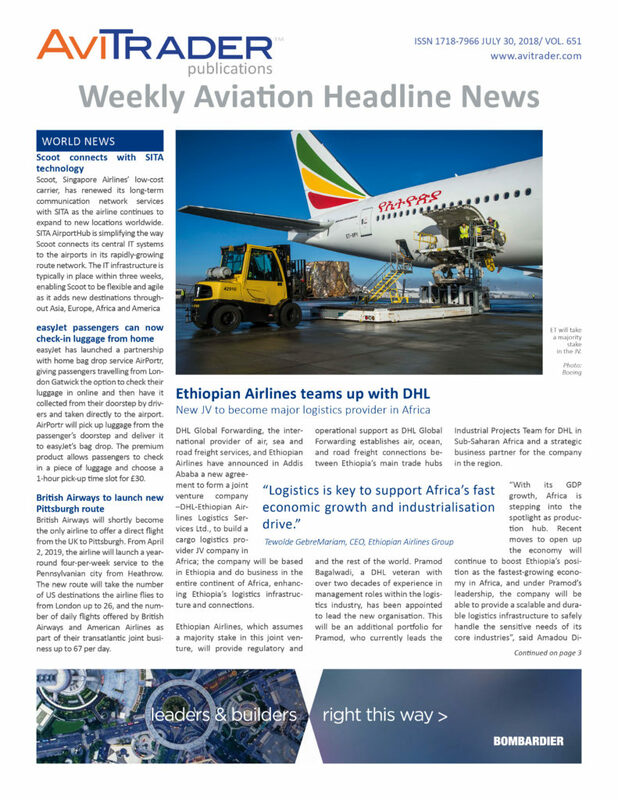 Other orders included 16 Q400 aircraft from Ethiopian Airlines and African Aero Trading bringing the backlog to 56 aircraft.